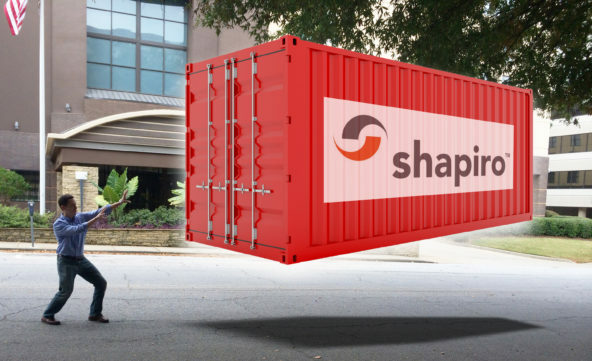 7 Reasons Your Container Drayage Costs will Rise in 2014 | Samuel Shapiro & Company, Inc. Worried about how container drayage costs will impact your supply chain next year? You’re not alone. Most major ocean carriers have either largely pulled out of the chassis business or intend to do so in 2014. Multi-carrier steamship pools are rapidly becoming a thing of the past, and chassis availability for carriers who still supply chassis is much less consistent than in recent history. Chassis leasing companies and drayage firms do not have a uniform tariff for chassis rental, and the logistics coordination between these industries is not yet well developed. Also, the technology needed for greater chassis control is not yet sufficient in these industries. Because most chassis rental firms and drayage firms are charging a daily rate for chassis (rather than the steamship industry’s lump charge or rolled-into-ocean-freight charge), the costs of cargo examinations and most other supply chain disruptions/delays will only increase. The drayage industry is already facing a labor crisis with current driver shortages only getting worse over the last few years. If they increase wages to attract labor, prices will have to follow. With Map 21 and other legislative/regulatory initiatives, the driver shortage will certainly be exacerbated by tougher rules for hours of service (among other labor restrictions). The problems at Maher Terminals in Port NY showed that East Coast ports cannot handle surges of cargo in any kind of meaningful way. A problem for one port rapidly becomes a problem for all. As carriers encouraged customers to avoid NY, we saw major problems in Boston, Baltimore, and Norfolk as well as New York. While these bullets only represent a modest portion of the overall story, they hint at the growing uncertainty facing importers and exporters who must estimate their future supply chain costs as accurately as possible. The driver shortages and new regulations will clearly lead drayage carriers to increase prices and will almost certainly affect their ability to deliver cargo efficiently and on-time. The dislocation and confusion on the chassis side will (at minimum) cause administrative costs to rise as importers, exporters, and logistics companies grapple with the variable and uncertain costs of chassis rentals. Furthermore, there are added costs of chassis lease, administration (labor), and borrowing (cost of money) when drayage transits rise even slightly due to chassis shortages after the death of multi-ocean-carrier pools. Said simply, the harder it is to match a chassis to a container, the higher your overall business costs will be. The crisis at Maher Terminals offers us a glimpse of the much larger problem of transportation infrastructure facing U.S. companies who depend on international trade for their livelihood. In future blogs, I look forward to breaking down the drayage “conundrum” into manageable sections and to offer potential remedies for importers and exporters who are currently scratching their heads, biting their fingernails, and crossing their fingers. We can only hope you are not doing this all at the same time! Talk soon (and feel free to vent with us by leaving a comment below). My issues are more upstream than downstream at the ports. Chassis availability to pickup or deliver in and out of the Chicago rail bound for either coast ports is really poor right now. I am currently in pursuit of my own chassis pool to support ocean exports using the Chicago rail. Do you think I’m nuts??? I have the drivers, the power and room to operate a chassis pool…I just need to purchase chassis equipment. thats my thoughts also, i am having weekly booking s rolled back due to no truck carrier avaibale to pick up my load??? this is crazy? i thought of starting my own business also. Ironically, Chicago is reported be one of the few places with what is considered a functioning chassis pool. Although entering into a currently unregulated newly forming industry can be risky, it could also have benefits as any other business. We also don’t like to use the term “nuts”… we prefer “quirky” and we’re right there with you. Best of luck in your decision! Depending on your shipping requirements, it may be beneficial to go through a broker. Flexibility is key in this type of environment and when someone isn’t looking at your supply chain to assist in booking space ahead of time or switching to another trucking company that would be able to fulfill your needs, your business could feel the impact. Consider discussing multiple options with your customs broker/freight forwarder. Thank you for commenting and please feel free to email us through our Contact Us portal in the top header on every page. We hope this information was helpful! Hi ! Im starting a drayage service in Memphis, Tn, and I would like to know if all of the ocean carriers have discontinued offering chassis to move containers or would I have to rent a chassis? I noticed that some of daily rates for some of the chassis rental companies arent very expensive. I guess the problem would be having to rent several different chassis to pull different loads. Appreciate any comments thx. Firstly, congratulations on your new enterprise! The drayage industry is not an easy arena to play in at the moment. Most carriers have sold off their chassis stock to equipment leasing companies that allow for daily rentals while others still provide them in certain geographical areas. You will most likely have to rent chassis depending on your type of business and if you deal with cargo from air, rail, or port terminals. Keep in mind the delivery requirements of your customers will determine how much renting a chassis will be. For example, drop-and-pick and genset cargo needs more time and care. We hope this information was helpful and best of luck! Our moves have historically been to the door with the SSLs. Do you foresee any reason why these upcoming issues might affect us? Maybe the SSLs will increase their rates in the next bid to account for extra costs they’re incurring? That’s a great question. I’d say there is some bad news, some more bad news, and some good news. The first bit of bad news is that the steamship industry is not immune to the broader macro trends affecting us all on domestic. In fact, we have witnessed the steamship lines struggling to adjust to their own decision to abandon the chassis business. Even the carriers who still supply chassis are less and less able to control their inventories and control of the chassis equipment. The further bad news is that there is growing “hostility” to IPI (rail) moves from some of the world’s largest carriers. While many see this a short-term situation to allow as many containers as possible travel back to China as fast as possible to meet the currently huge demand, others are predicting further increases in IPI rates to help steamships lose less money on those segments. This developing trend could make many companies overall supply chain more expensive and less flexible. The good news (for shippers though not for freight forwarders) is that the time and resources freed by divesting themselves of chassis has (ironically) allowed some carriers to evaluate and analyze a greater percentage of domestic moves with greater focus and success. As a guy who has been selling against the poor domestic performance of carriers for years, I am not hosting a party to celebrate this trend! However, for you Amy, this may be just what the doctor ordered (especially if your domestic moves originate at a seaport and not a rail ramp). Hello Mr burdette, I’m setting up my business plan to get into intermodal transport. I am inquiring to see if you have any links for me to investigate my ventures as far as… How do the ports charge as far as getting a container out, do they charge daily rental of the container or is this already paid by the customer? What are the charges to go in pick up a container and exit? Do carriers usually advance these charges and add them to the transport charges to the customer?? Unfortunately, we are not the best source for advising on drayage operational practices. Port requirements and fees vary depending on port regulations and systems of procedure. There are state/federal regulations, liability coverage insurance, and many other TWIC, and many other items to consider when coming into the drayage industry.